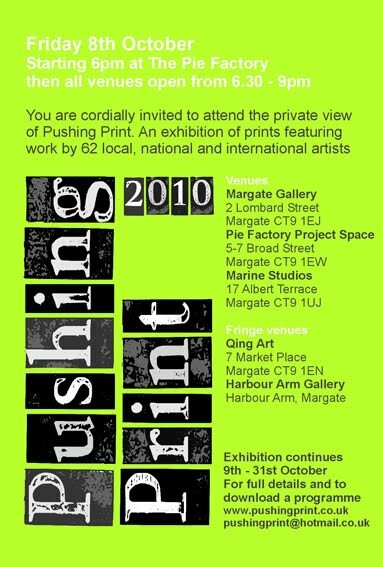 I am one of the six invited artists to this years Pushing Print Exhibition in Margate. 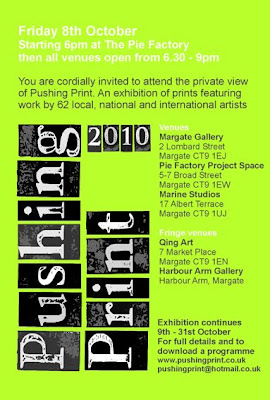 Three of my works will be in display in The Margate Gallery on Lombard Street from the 8th - 31st October. I have also been asked to do a talk about my practice and printmaking on Saturday 16th October at The Pie Factory, Broad Street, Margate as part of the exhibition. More information about this event can be seen and tickets can be purchased here.